Two furnished sublease options available in 2450 sft windowed, professional suite in Premier Plaza near One Loudoun off Route 7. 24/7 building access. Rent includes use of waiting room, in suite restrooms, and kitchen as well as hospitality station, Wi-Fi, fax, and copier. Corner office available Mondays through Fridays 7:00am to 3:00pm and all day Fridays and Saturdays. Set up features large couch, two chairs, glass table and water feature on one side of 205 sq ft rectangular space (11.9 x 17.3) with desk on opposite end. Windowed green room 117 sq ft (9 x 13) features loveseat, two chairs, and desk. Available all day Mondays, Tuesdays, Fridays, Saturdays, and Sundays. Share space with fun-loving, entrepreneurial group of therapists, psychologist, and psychiatrist. Contact Cyndi Turner at admin@insightactiontherapy.com or 703-646-7664. See www.insightactiontherapy.com for pictures. 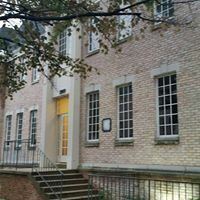 Two Attractive, bright, quiet offices for rent in psychotherapy suite. A few hours or a few days. This is one of the most attractive suites in the building (The Freudian Hilton). Large Office (320 sf): Bright, beautifully furnished. Great for Groups/Families. $8 -16/hr. Available Mon, Fridays all day, Tuesdays before 10am (maybe 3-10pm), Wednesday 7:00am-1:15pm, 7:45pm-10:00, Fridays all day, some weekend availability. Small Office (130 sf): Attractive, sunny, comfortable. Good for Individuals/Couples. Low hourly rates ($6-10/hr). All hours becoming available as of January 1. Available for rent on Wednesdays and Thursdays. $60 for a 4 hr slot, negotiable for full day/both days. Omega Wellness is a visionary and highly effective collaboration between mental health and body/energy work professionals. We welcome applications from like-minded clinicians who wish to work with both mind and body for the greater health of their clients. Large L-shaped windowed office, with full sun on 5th floor in Farragut North business district, available part-time immediately and possibly full-time as of January 1. Four-room suite in modern office is near White House, Mayflower Hotel and National Geographic, at intersection of Red Line and Blue/Orange Metro lines, just off Farragut Square. Many senior Executive Branch, congressional, legal, private consulting, non-profit, trade association, union and corporate clients within easy walking distance. Marble entryway, 24/7 concierge, upscale art-filled modern waiting room, three daily world-class newspapers and coffee-tea for clients, internet and phone/fax for counselors. Bonus features include several highly experienced and friendly colleagues, with many inter-referrals. Reasonable rates. Please contact Ed directly by email. Seeking office in walking area to metro. Monday-Friday. But flexible to share space. I currently working afternoon and evenings. Would also consider lease of a suite with 2-3 offices to share with other professionals. Spacious office area with access to balcony and kitchen facilities is now available in downtown Silver Spring. Just four blocks from the Metro with underground parking, this fully furnished office is part of a 3 office suite with waiting room. It is located in a downtown hi-rise that has round the clock lobby personnel allowing your clients secure entry all day and into the evening. The office is available Tuesday-Saturday with 4 hour time blocks for $40 or $50 for the entire day. This a quiet location perfectly suited to grow your practice or scale it back. 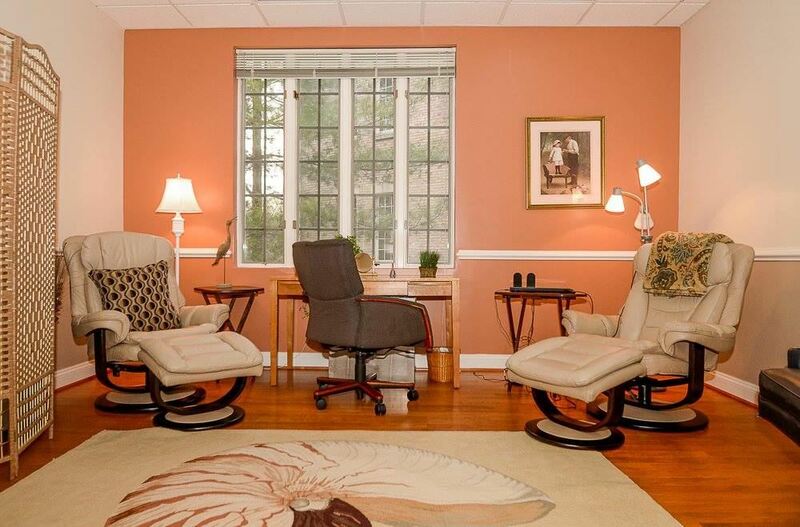 Psychotherapy office for rent in Centreville, VA for $500 monthly. Available now. Furnished. Shared copier, fax, fridge, cleaning service. Great location near routes 66, 29, and 28. Share suite with six supportive, skilled, mindfulness-oriented colleagues. Contact Erika at ErikaKL@aol.com or 703-864-2807. Large office available in well-appointed two-office suite within blocks of downtown Fairfax. A third room is very well-sized for therapy groups. Comfortable waiting area. Kitchenette with microwave and mini-fridge. Located in complex of two-story professional buildings with plentiful free parking. Available weekdays and weekends. For additional details, contact Marilyn, 571-933-8342 or Marilyn@MedianCenter.com. Beautiful, and recently renovated Dupont Circle office is available for sublease starting September 1st. The office has lots of natural light, is fully furnished and is on the 3rd floor of a 5 story building. It is conveniently located at Connecticut and Q Streets NW steps from the Metro station and several bus lines. The office is available for sublease on Mondays part or full day. If you are interested or know of someone who is looking, please feel free to contact me either by phone (202) 288-3130 or email agavariscounseling@gmail.com for more information. A very spacious, light-filled office with a large bay window overlooking Dupont Circle. A very spacious, light-filled office with a large bay window overlooking Dupont Circle. 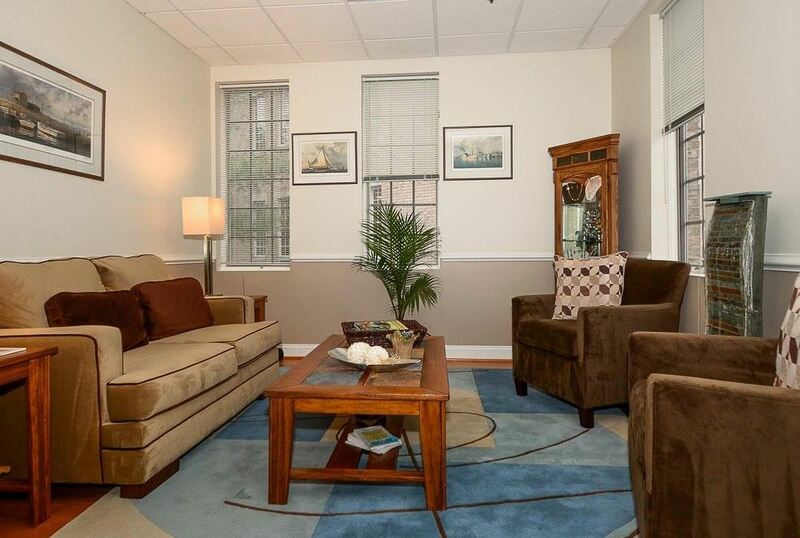 A suite of three established psychotherapists in a professional, secure building. Available part-time starting July 1st (possibly sooner.) Feel free to reach out to discuss available days and times.